We believe that ongoing development is a crucial part of being a successful practitioner and so this is a requirement for all members of the Creative Kinesiology Association. Our aim is that after their professional training our practitioners feel supported and part of a thriving community. Several of our CPD courses are open both to kinesiologists and practitioners of other therapies and the caring professions. We welcome participants from other fields - their involvement brings fresh perspectives and much broader learning when we share our skills and experience. It is all too easy to feel isolated and alone once your professional training courses have been completed, so we offer a range of interesting continuing professional development (CPD) workshops and refreshers throughout the year. We also encourage our members to attend our yearly Creative Kinesiology AGM and Gathering for updates, new research, and to connect with other practitioners and like-minded friends. The information below will give you a taste of the CPD offerings we bring to our members and beyond during the year. Take a look at our Course Calendar for workshops that are confirmed and taking bookings, or contact the tutors directly to express your interest in any workshops you'd like to join which don't currently have firm dates planned. Sound therapy has long been known to be a powerful source of healing and is recognised as being an extremely efficient healing modality both at the physical and metaphysical levels. 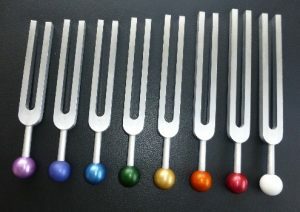 The vibration of sound encourages healing to the body’s energy systems of the aura, chakras and meridians. These hands-on workshops offer you a friendly and fun environment as you learn. They are highly recommended for kinesiologists and others that are interested in sound as a healing modality. This series of workshops is designed to support practitioners in developing the skills to journey deeply with their clients. As each group gathers we agree to work over time together, meeting every 6-8 weeks. As the groups are ‘closed’, we are able to develop relationships of deep trust and safety, where we can explore our ‘edges’ and challenges. This enables us to work with how to witness and ‘hold’ our clients in all their aspects - giving them the space to explore themselves on many levels. Over the years, participants have found this approach an invaluable way of deepening their experience both of their own process and of being a practitioner. This series of monthly workshops is a practical, down-to-earth approach to help you get to know your body as a magical human being so you can live well in the material realm, with a foot in both worlds. We will combine CK tracking with some basic aspects from Mayan and Medicine Wheel teachings, as well as the Chinese Five Elements. We will spend quality time with our bodies, feeling into the muscles and meridians. We will investigate the magical numbers that make up the body, such as the 33 spinal vertebrae and how they link with the organs and the 13 joints of the body as magical gateways. The wonderful TFH muscle tests will help you be as embodied and grounded as possible. Would you like to be an ‘Ambassador for Creative Kinesiology’ and welcome new clients to your practice? 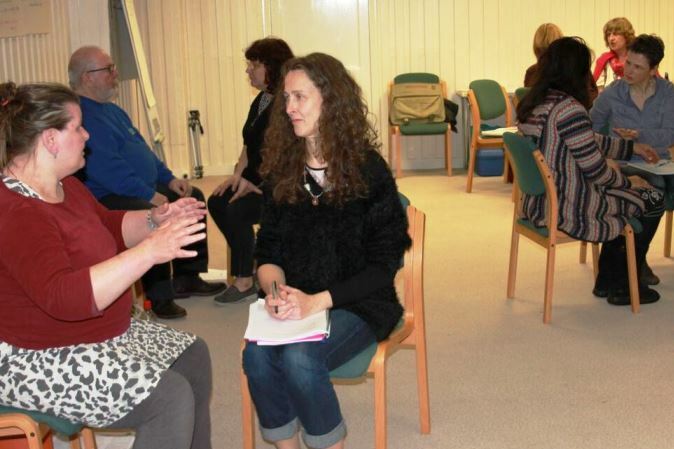 These workshops have been developed for practitioners wishing to run their own short workshops to share the wonderful ‘energy medicine’ tools that we offer. The aim is for you to be able to set up and hold short workshops with members of the public – who might also be your clients! Part One covers running short workshops without using muscle testing and Part Two will begin to explore how to introduce muscle testing to others. Depending on their content, these workshops and courses may be open to the general public, to kinesiologists of any modality, or may be specific to practitioners trained in Creative Kinesiology - please check the details of the individual course or workshop to ensure you have the right background (or practitioner status) to join. Take a look at the list of upcoming courses below or browse through our Events and Courses Calendar to find the right CPD for you.